For Android, iPhone, Windows Phone, Mac, Chrome and more. 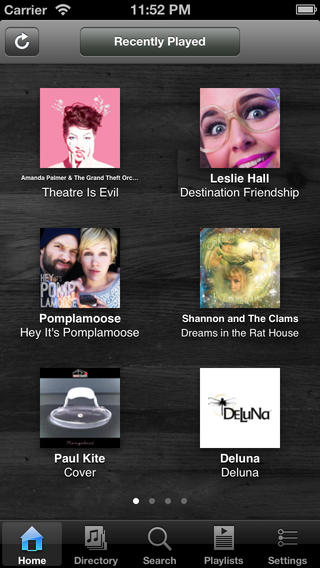 A variety of Madsonic apps provide fun and alternative ways to enjoy your media collection. Please note that most of the apps are made by third-party developers, and are not maintained by the Madsonic project. Some apps are commercial, while some are available for free. Want to make your own Madsonic app? Check out the API. 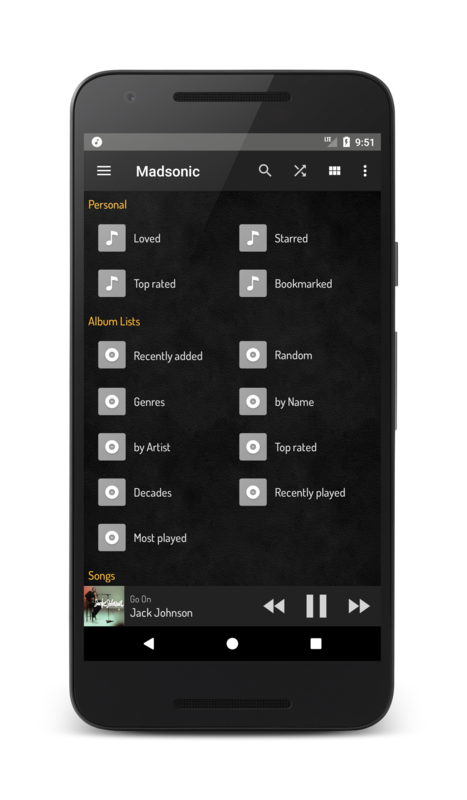 Madsonic Media Streamer PRO is an Android app and is available for purchase on Google Play. 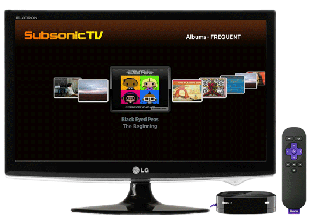 Madsonic Media Streamer is an Android app and is available for purchase on Google Play. 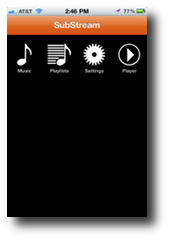 Stream music and video from your home computer to your phone. Never sync again! All your media - anywhere, anytime! Developed and maintained by Sindre Mehus, the author of Subsonic. Available free of charge on Google Play. DSub is an Android app developed by Scott Jackson, and is available for purchase on Google Play. Add and playback from bookmarks. Infinite shuffle playlists based on folders, years, and genres. Pause and lower playback when maps read directions. 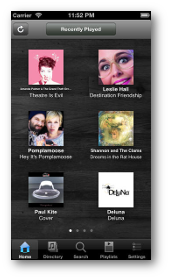 Drag and Drop to rearrange the now playing list. 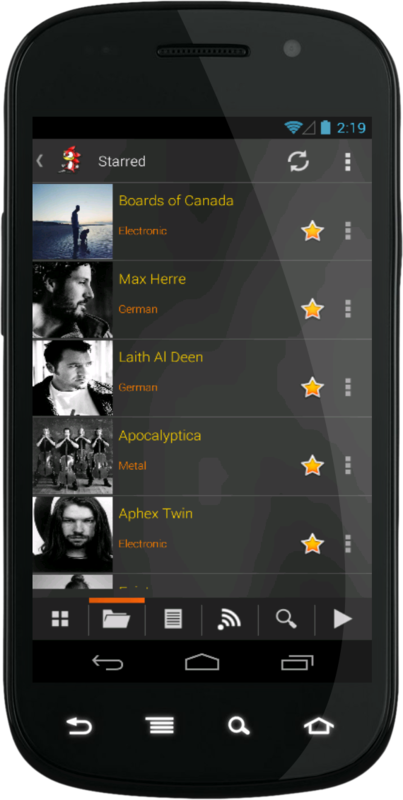 XenoAmp is an Android app developed by ssuukk, and is available for free on Google Play. 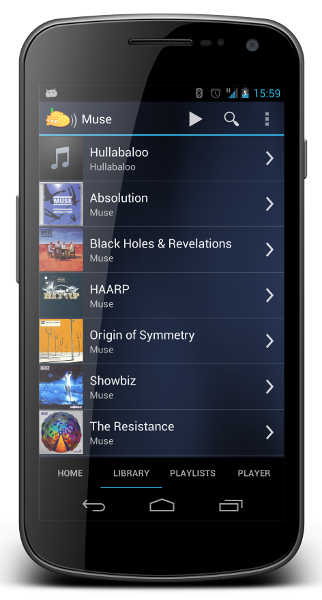 Supports Subsonic, Google Music and Dirble. Player reacts to audio jack, incoming calls, respects Android audio focus and media button interfaces. 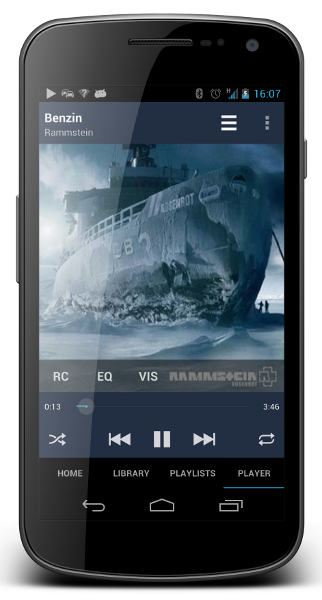 No standard Android widgets, handling the player is just touch or sweep. Draw a circle for volume up/down. Browse your collection faster than ever - see it on a 2D pinch-to-zoom-able matrix. Different sound profiles for dock/car/headphones. SubStreamer is available for both Android and Apple devices and works on both tablets and phones. Clean modern layout consistent across both platforms. 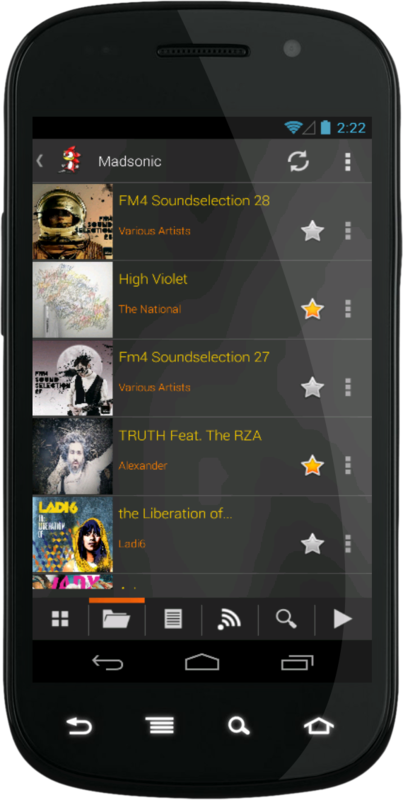 Full access to your entire music collection. 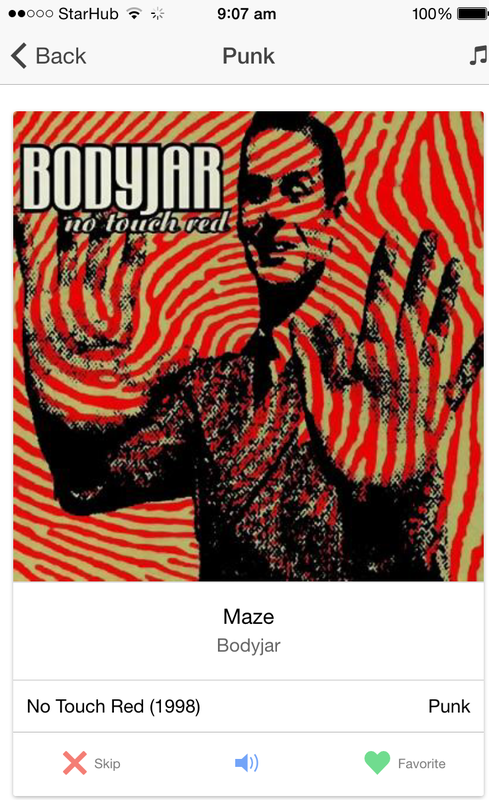 Easily search your entire library and find similar artists. 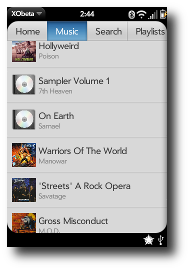 Manage starred tracks as an easily accessible and playable favorites list. 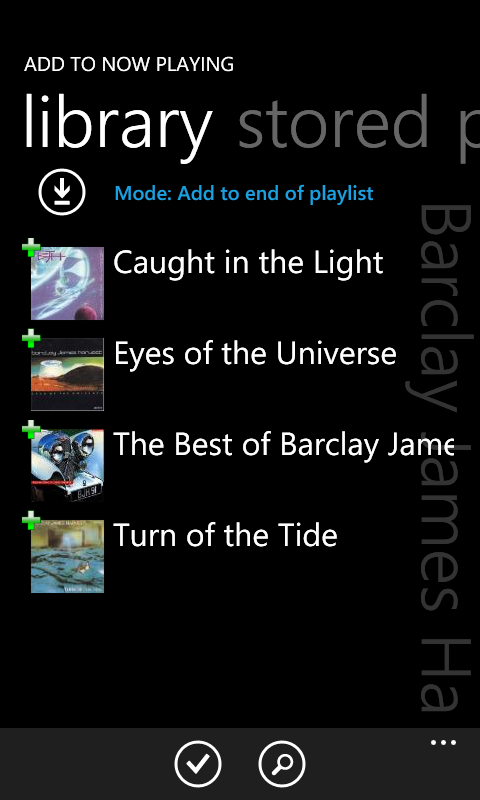 Automatically track your recently played items and add them to dynamic recently played lists. Discover music lost in your collection and old favorites! 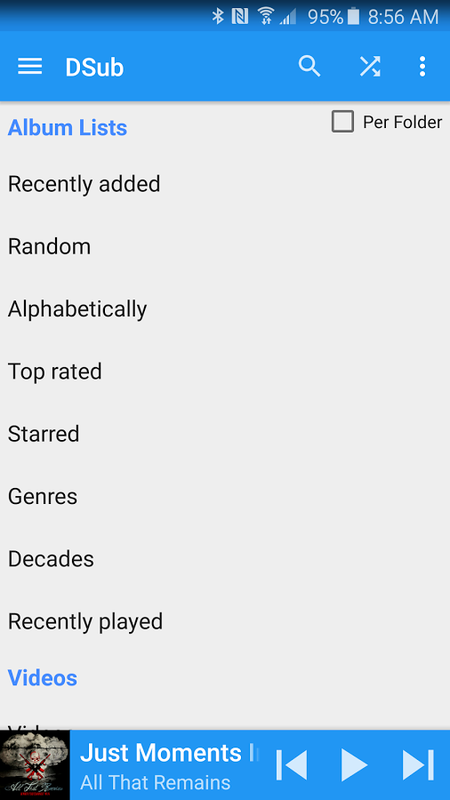 Our discovery feature will generate random playlists by genre or year and allow you to simply swipe to either side to add a track to your favorites or to skip to the next track. 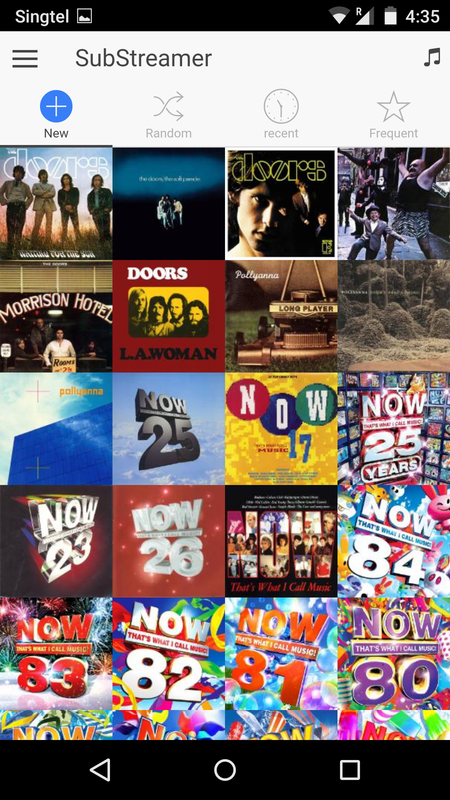 Great for getting a random playlist to listen to or for finding something different on those old compilation albums. 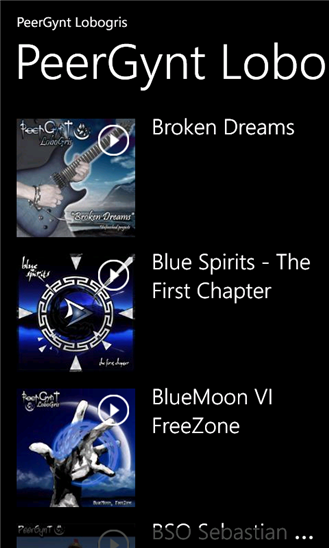 More features are under development including better offline support for offline music and artwork. 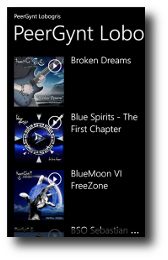 Subsonic Music Streamer is a Windows Phone 7 & 8 app developed by Anton Van Zuylen, and is available for purchase in the Windows Phone Store. 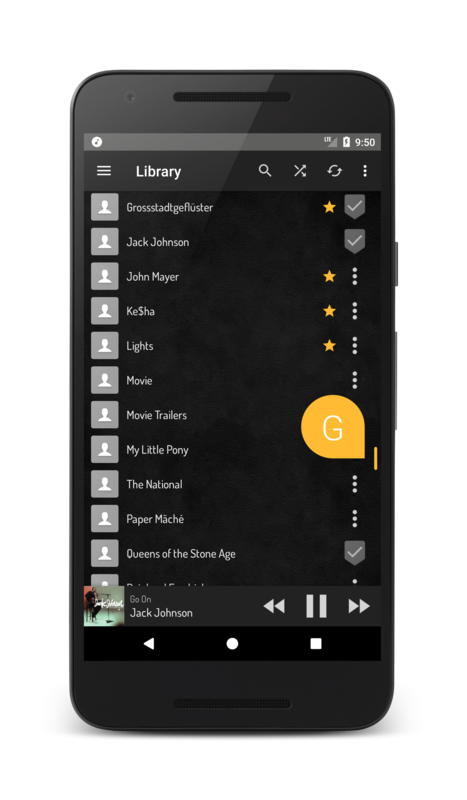 Always have access to your entire music collection without the need for any third party server or subscription. 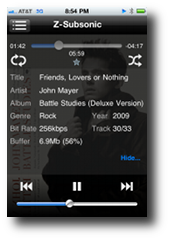 Supports all popular formats (WMA, FLAC, MP3, AAC, OCG etc). 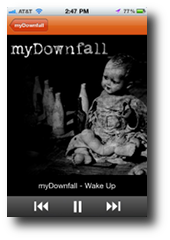 Keep listening when you have no cellular coverage due to full local storage including cover art, lyrics and info. 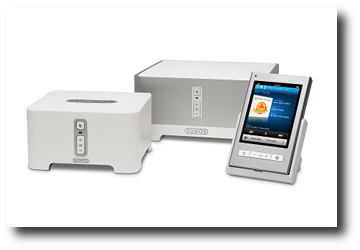 Manage your local stored music in a convenient way. 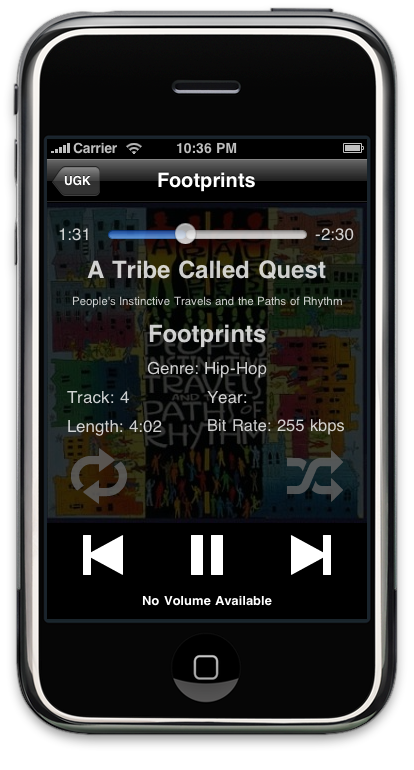 Control the quality of the music by controlling the streaming bit-rate. 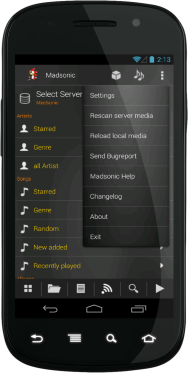 Create playlists on the device which can contain songs from different servers simultaneously. 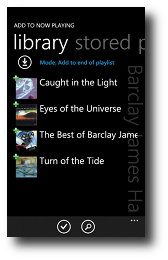 Add easily your newest music, your recently played albums, or your frequently played albums. Keep playing behind locked screen. 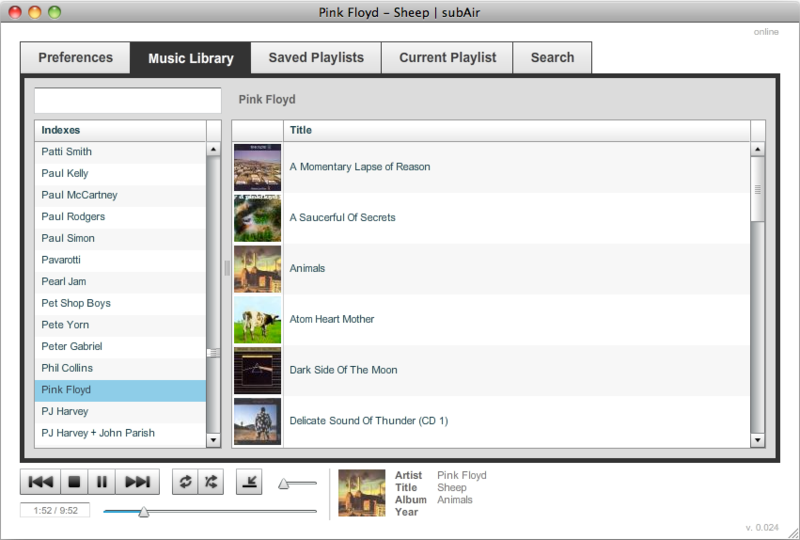 Full integration with the Music and Video hub. 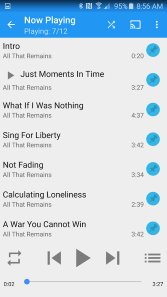 Automatic storage management of local stored songs. Allowing to lock specific local songs. 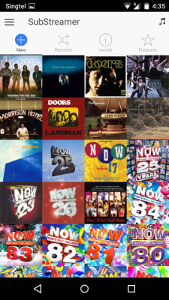 This application focuses on fast and easy handling with two main pages: "Now playing" where you see and control all what is currently playing including cover art and lyrics; and "Add to now playing" providing different methods for adding albums and songs to your playlist. Start the application and the music is playing (just one click)! 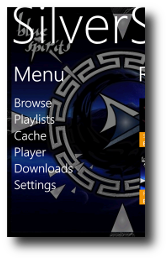 SilverSonic is a Windows Phone 7 & 8 app developed by Gabriele Cannata, and is available for purchase in the Windows Phone Store. 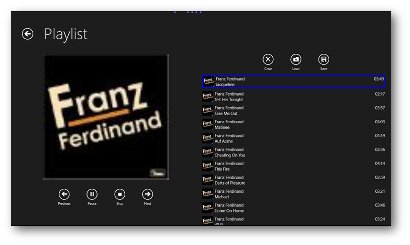 SonicStreamer is a free app for Windows 8.1 and Windows Phone 8.1, published by Alexander Preibisch. 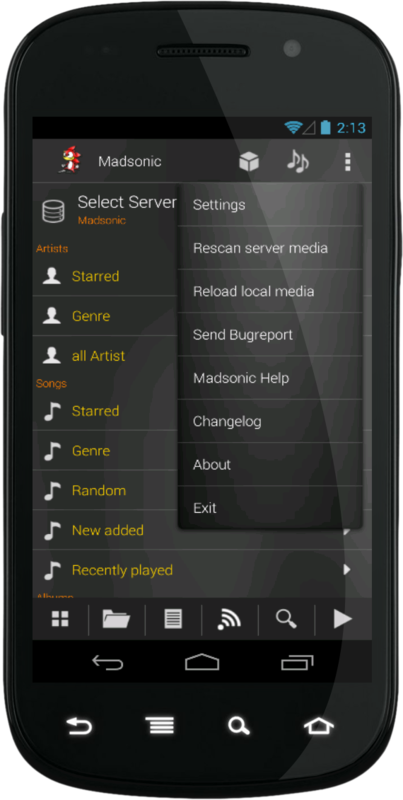 SubSonar is a native BlackBerry client application for Subsonic. It is meant to be a minimalistic and simple-to-use app that gives you instant access to stream your personal media straight to your BlackBerry. Supports HTTP only due to current limitations in the BlackBerry API. Supports native video streaming playback alongside Flash playback in a web browser. iSub is an iPhone/iPad app developed by Ben Baron, and is available for purchase on the App Store. 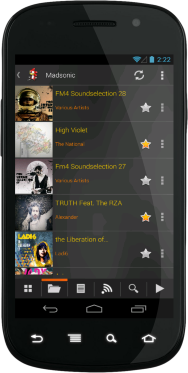 Browse and play your personal collection over WiFi or cellular networks. Don't be limited by free space on your mobile device, or the cable tethering you to iTunes. Z-Subsonic is developed by Intulon, and is available for purchase on the App Store. 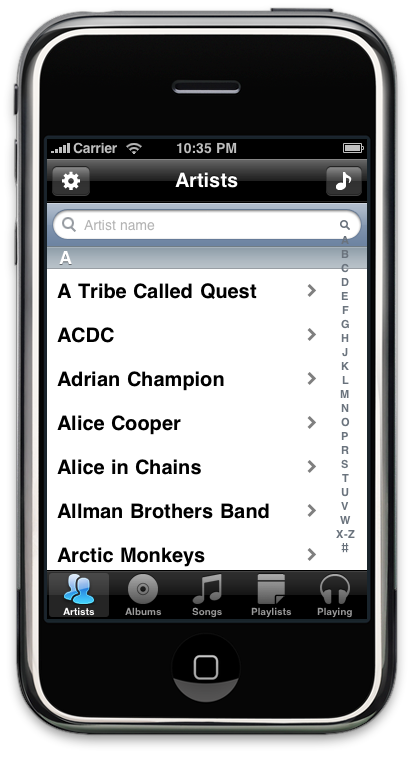 Access your entire music library from anywhere on your iPhone or iPod regardless of the size of your music collection. 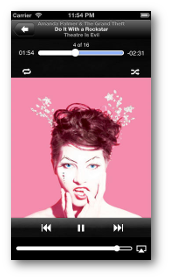 Play song formats that the iPhone/iPod will not normally play e.g. wma, flac, ogg. 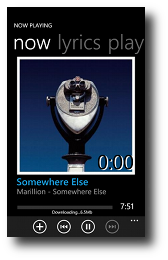 Caches all queued songs as quickly as possible once Wi-fi connection is detected. 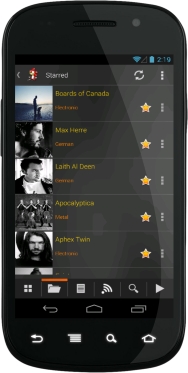 Browse and manage cached songs by artist/album. Delete entire artist/album from cache at once. 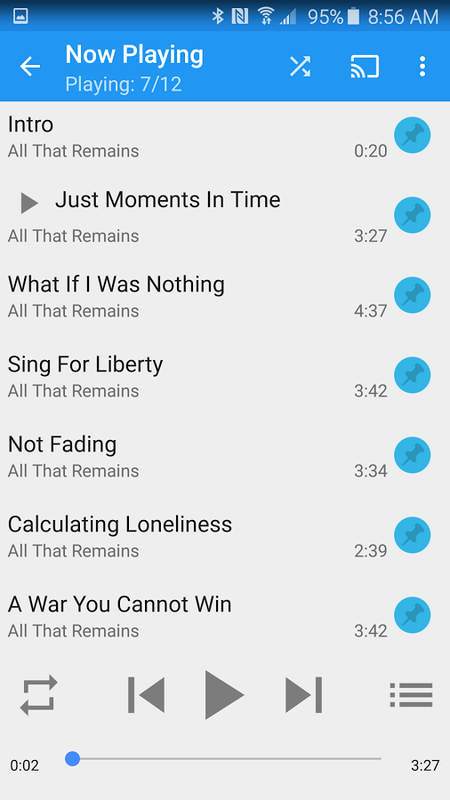 Delete or change song priority on the Now Playing list while songs are playing. 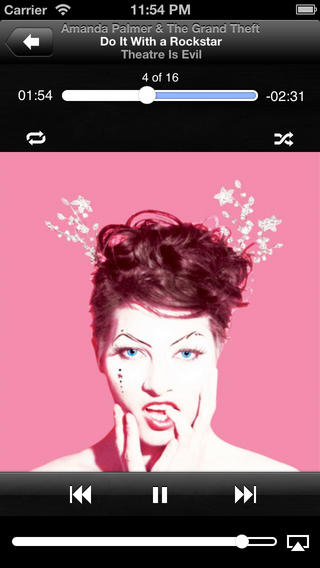 Double buffering: upcoming song starts to download before the currently playing song finishes. 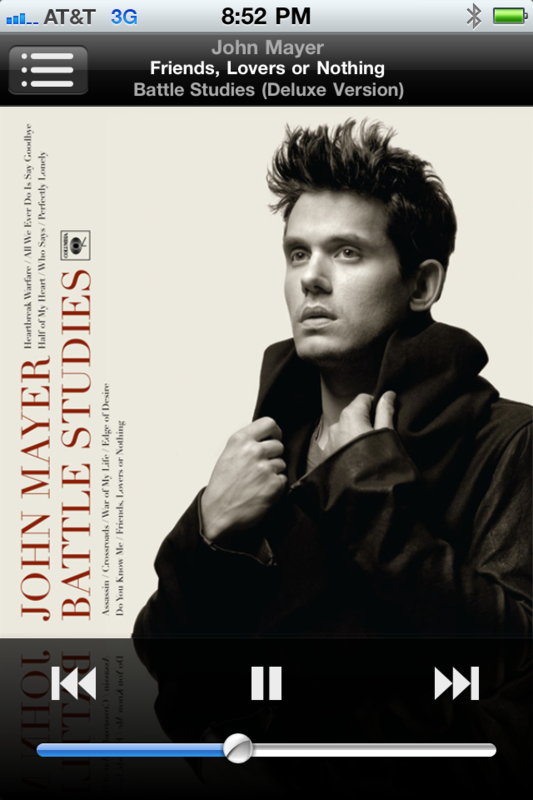 Seeking for fully cached songs. Load playlists stored on the Subsonic server. Random playlist generation using entire song collection. SSL support with prompt to authorize self-signed certificates. Full caching. Z-Subsonic can be used fully disconnected with previously streamed music. SubStream is developed by Figment Inc., and is available free of charge on the App Store. 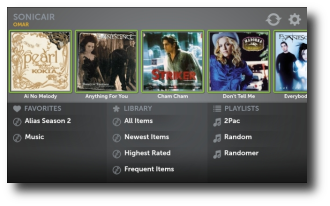 SubHub allows you to stream and cache music and podcasts in your favorite audio formats thanks to Subsonic's transcoding plugins. Compatible with Subsonic 4.7 and higher. Streaming over WiFi and Cellular. An easily navigable and detailed UI. Search for artists, albums, genres & songs. Limitable bit-rate to help save bandwidth and cache space. 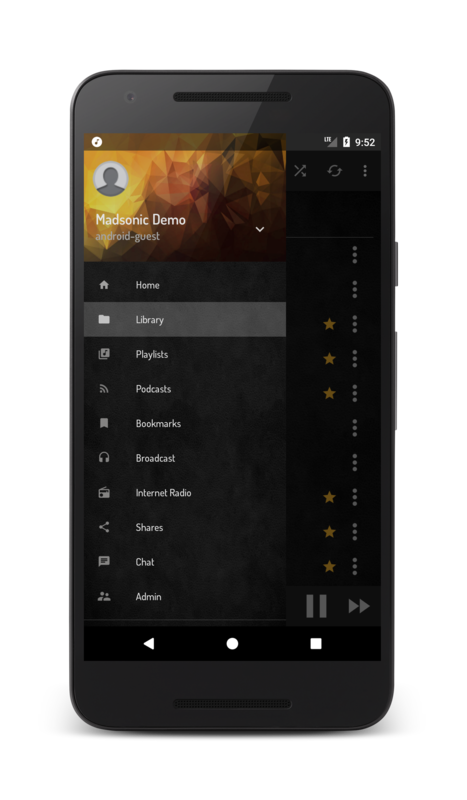 Create personal playlists and enjoy playlists shared on the server. SubHub is developed by Voodoo77 Studios and is available on App Store. AVSub comes with an interface optimized for car use, with large buttons and a unique gesture-based playback interface. It has full Airplay and Bluetooth support, and features gapless playback, caching of upcoming audio, video support and much more. 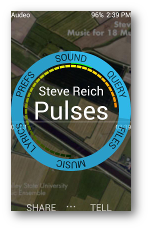 AVSub is developed by Richard Levy and is available from App Store. 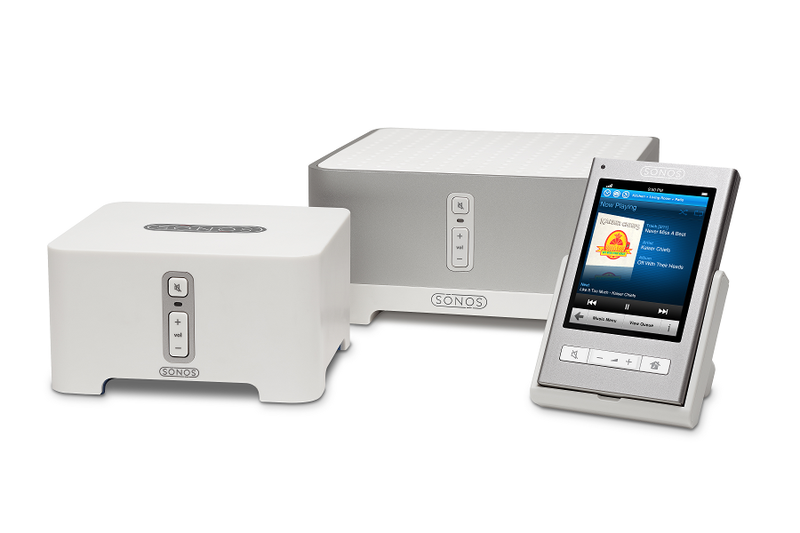 Soundwaves focuses on simplicity, making it the ideal client to connect your iPad or iPhone to your home theater setup. Optionally setting a suitable max bit rate enables Soundwaves to work well even over a bandwidth-limited connection (e.g. a mobile connection). It will also play nicely with your car radio, connected via USB or Bluetooth. 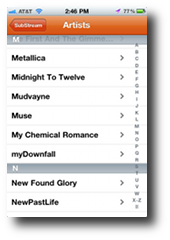 Browse your music by folder or ID3-tags. Stream music over cellular or WiFi connection, or use cached music when connectivity is bad. 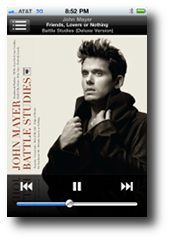 Re-discover music with the random albums or songs feature. 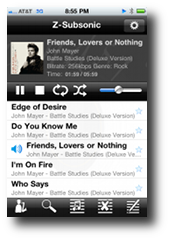 Quickly access to currently playing song information, playback controls and playlist. 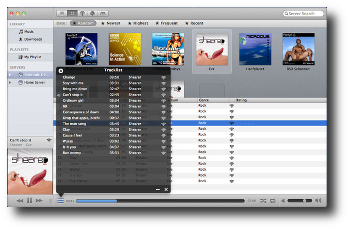 Automatically cache played tracks, including pre-caching of upcoming tracks. 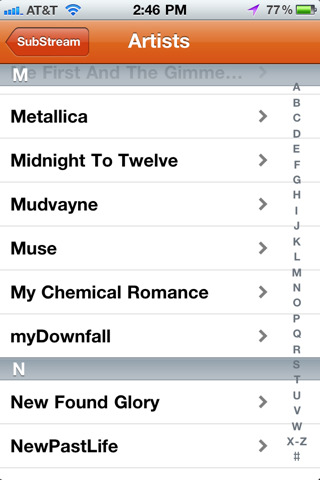 Manually cache selected tracks or even complete folders, artists or albums without having to play them. Fully integrated with you iDevice: AirPlay, Bluetooth, remote control, lockscreen and control center integration, audio resume after calls. play:Sub is developed by Michael Bech Hansen, and is available from the App Store. SonicAir is a Subsonic app for the BlackBerry PlayBook. 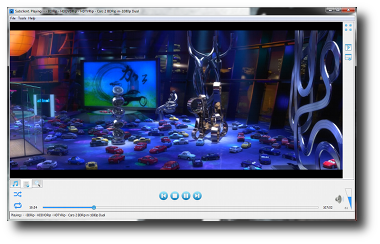 Play all sorts of video and audio, even high definition 720P MKV files. Listen to music and watch videos. Cache lists for offline use. 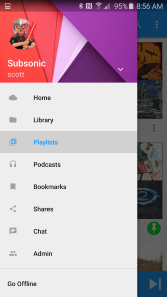 Use quick list feature to create on-the-go playlists. 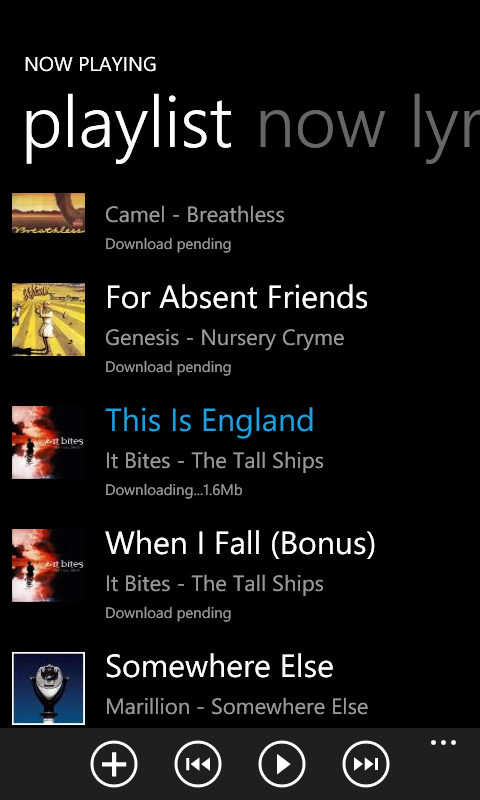 Download songs for offline use later. Developed and maintained by Mir & Windsor Design, it's sold for $2.99 on BlackBerry App World. My Music To Me (MMTM) allows Subsonic users to enjoy their entire collection by streaming over a Sonos music system. 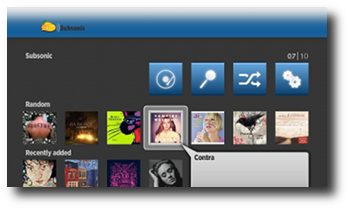 MMTM is a translation service (or proxy) that sits between your Sonos music system and your Subsonic streaming server. 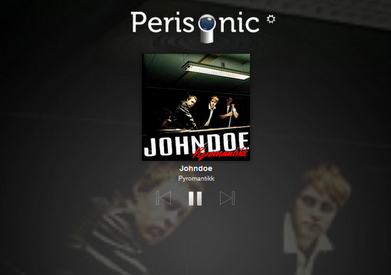 Note: Subsonic 5.2 and later has built-in Sonos support, and doesn't require this service. 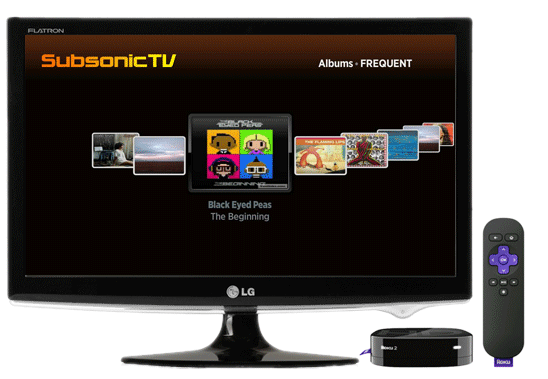 SubsonicTV for Roku is the perfect solution for enjoying your music & video collection on your TV. No need to go through the hassle of uploading to the cloud and syncing your files. Developed by JNC Ventures and Musiclouds, it's available both as a free lite version and a paid premium version. 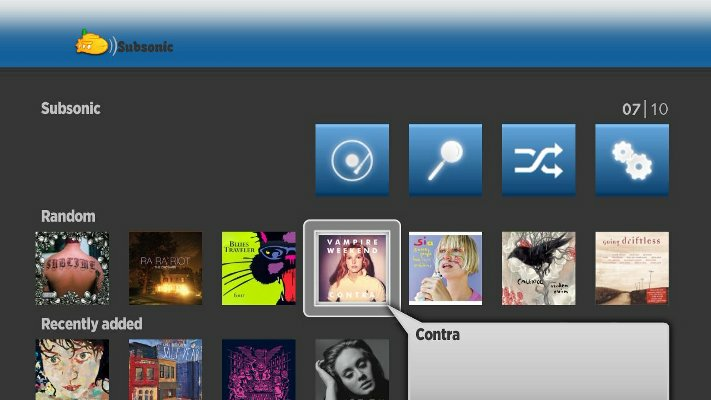 Subsonic Channel is an open-source Roku frontend to Subsonic. 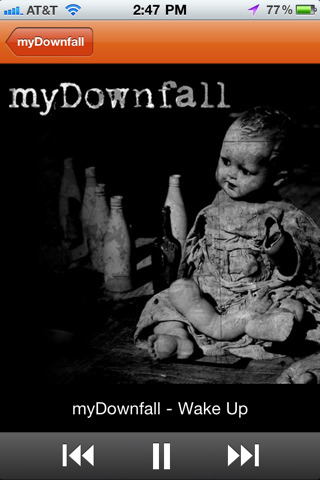 Search for artists, albums, songs. Subsonic Channel is developed by Michael Ihde and is donation-supported. 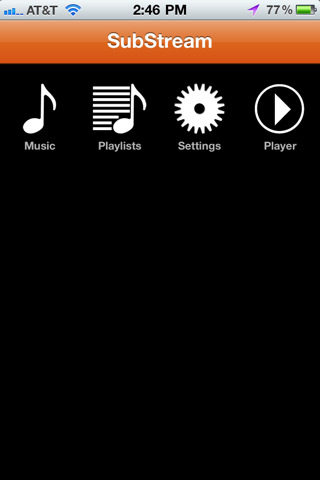 XO is a Subsonic app for webOS. 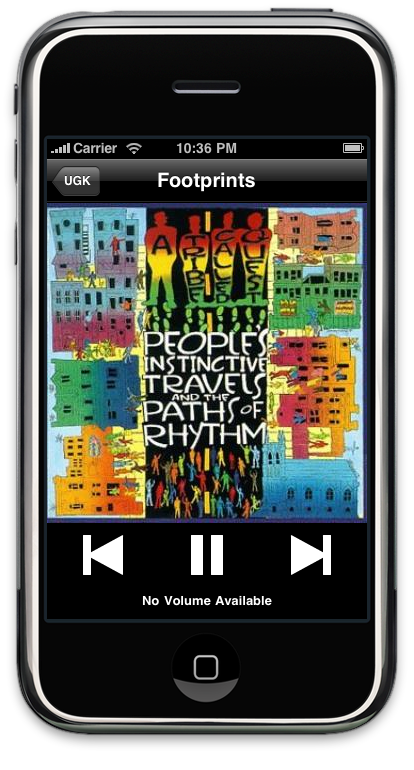 Stream any music directly to your TouchPad, Pre, Pixi, or Veer. 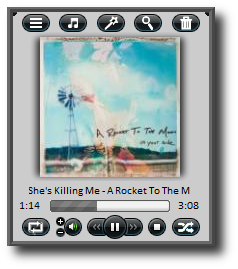 Built-in HTML5 streaming media support and player, with support for file download and drag-and-drop playlists. XO makes streaming your music from home to wherever you are simple and fun! It is also available for BlackBerry PlayBook. XO is developed by Eric Blade. 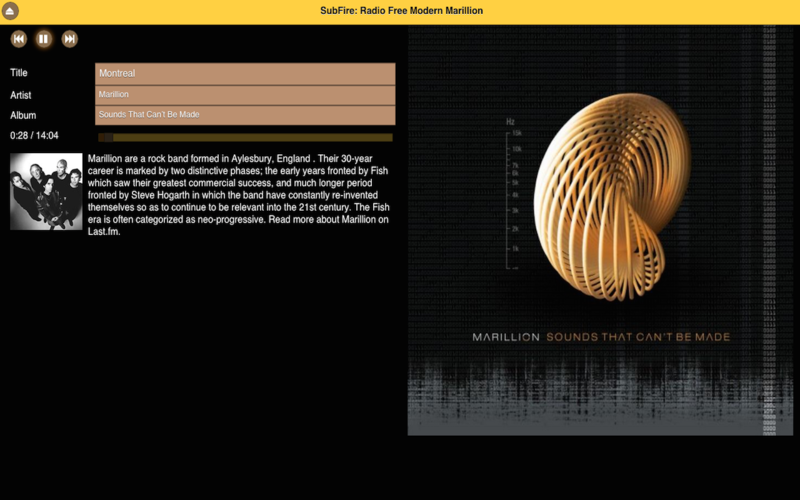 SubAir is a rich desktop application for Subsonic implemented with Adobe© AIR. Works with Windows, Mac and Linux. Developed and maintained by Jim Resnowski, and provided free of charge. 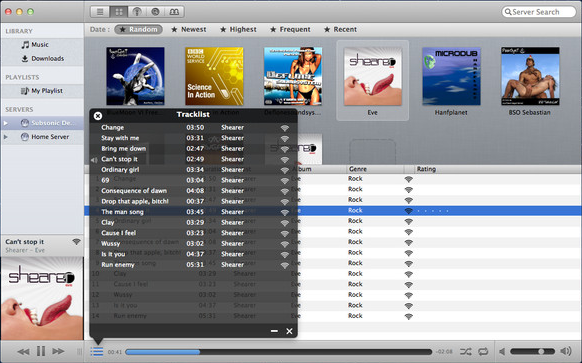 Submariner is a free Subsonic desktop application for Mac. 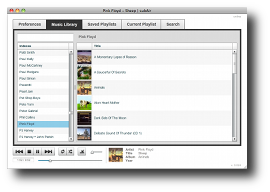 It provides a clean user interface to manage your remote libraries and to listen your music with simplicity. 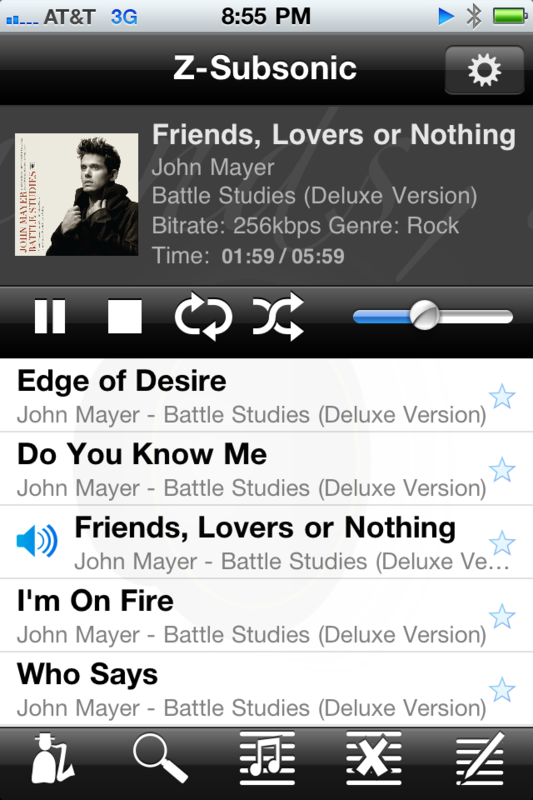 With the cache streaming and download features, you can also listen to your favorite tracks offline. 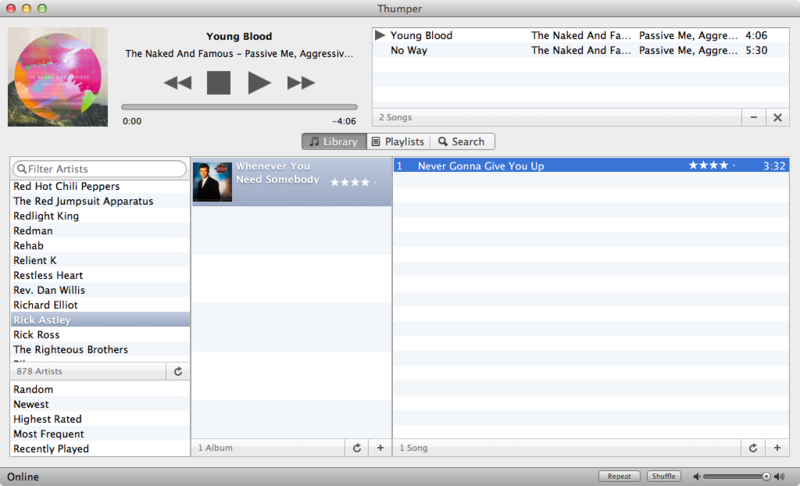 Thumper is a native Subsonic client for Mac. A Native Mac Application - designed on the Mac, for the Mac. 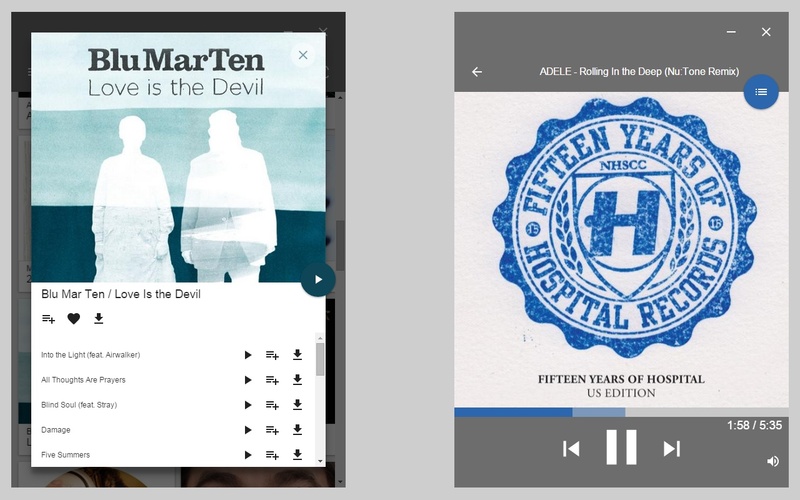 Local Caching of Library Information, Audio, and Album Art - reduce bandwidth and get a more responsive experience. Browse Artists, Albums, and Songs. Quick Artist Filter - quickly narrow your results. 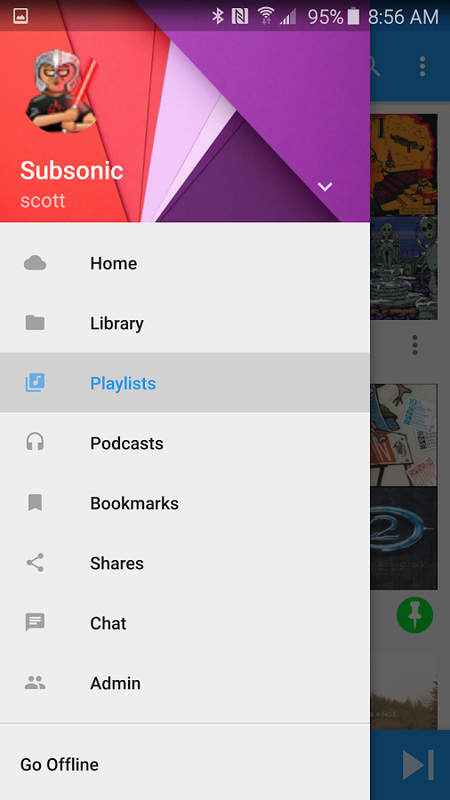 Playlists - play, create, and delete Subsonic playlists. Search - find the song you're looking for quickly. 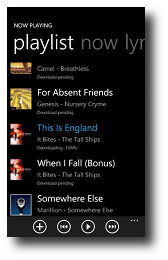 Current Playlist Persistence - pickup right where you left off, even after a reboot. Mac Media Key Integration - previous, play/pause, and next key support. Keyboard Shortcuts - control volume, repeat, shuffle, etc. through keyboard shortcuts. Last.fm Integration - songs are scrobbled as they're played. 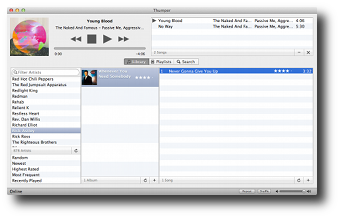 Playback via QuickTime - if QuickTime can play it, so can Thumper. 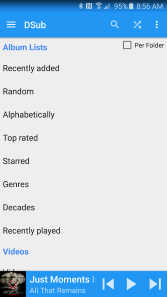 View Random, Newest, Highest Rated, Most Frequent, and Recently Played Albums. 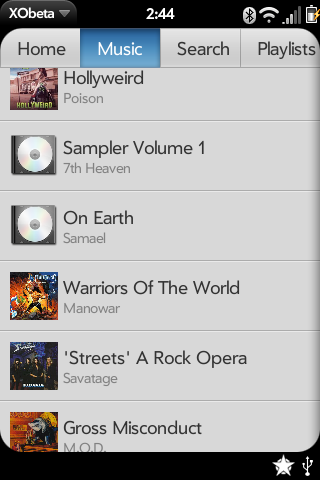 Smart Playlist Creation - get random songs narrowed by genre or year. 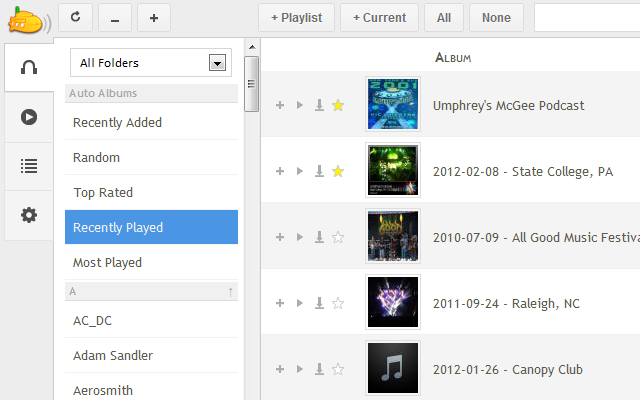 Now Playing Support - See what other users are listening to. Transcoding (including FLAC) support with Subsonic 4.6 or greater. Video streaming (requires proper codec to be installed, see FAQ). Thumper is open-source and available on GitHub. Subclient is Java desktop client for Subsonic. 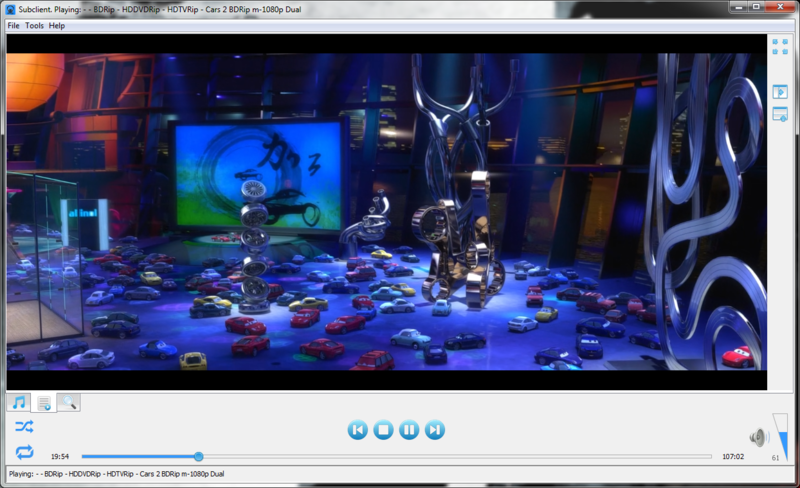 VLC-based audio and video playback. Tray icon and media keys supported. Multiple Subsonic servers can be used. The playlist is saved between sessions. Indexes, Podcasts and Playlists fetched from Subsonic server. Cover arts stored locally to improve performance. Subclient is made by Alejandro Celaya Alastrué and is free of charge (but accepts donations). 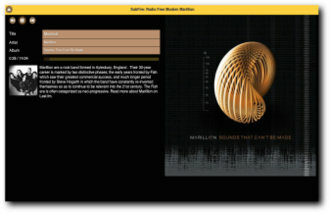 SubGadget is a Windows Sidebar Gadget for Subsonic. Works with Windows 7 and Vista. Developed and maintained by Scott Mark, and provided free of charge. SubWiji is a Windows desktop application for Subsonic. 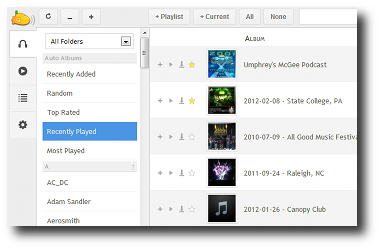 Supports docking, auto-hiding, keyboard shortcuts, now playing popup, album grid viewer and much more. SubWiji is made by Paul O'Dell. Free of charge, but accepts donations. 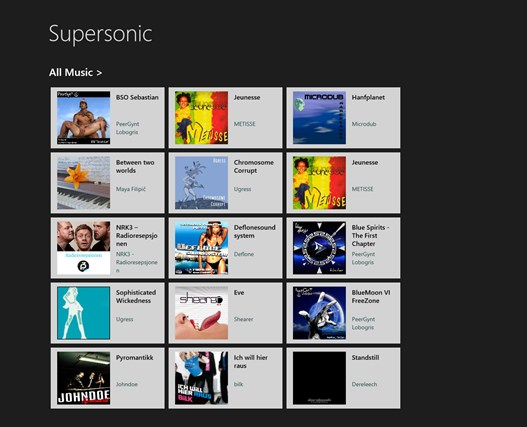 Supersonic is a Windows app for Subsonic. 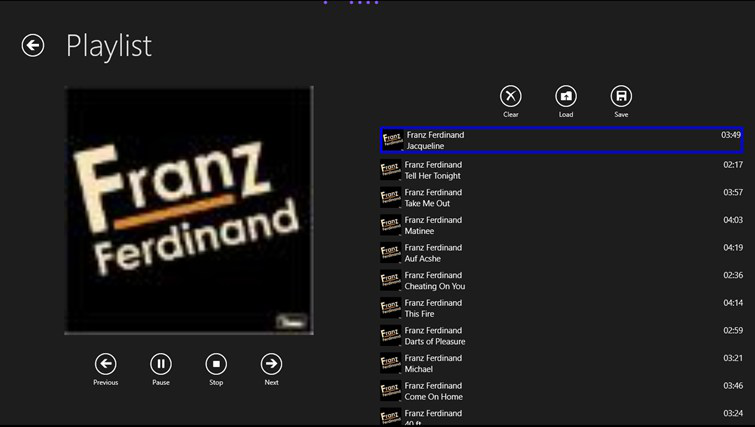 Browse and play your personal collection of music directly in Windows 8. 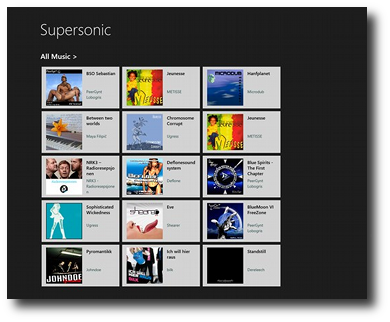 Browse your Subsonic music collection. 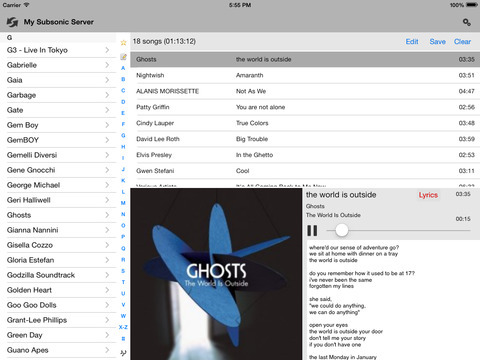 Stream songs from your Subsonic server. 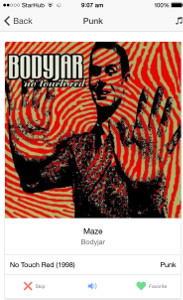 Find artists/albums quickly using the Search charm. Fully integrated with Windows 8 media keys. 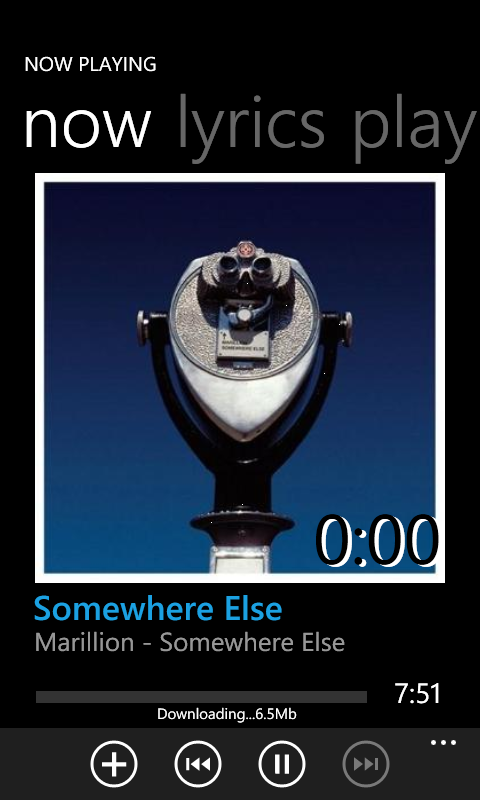 Show live tile with current song. Supersonic is made by Andre Carvalho and is free of charge. 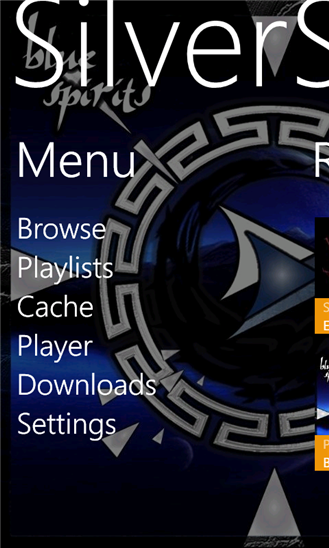 Subsonic8 is an open-source Windows 8 app developed by Cristi Badila. 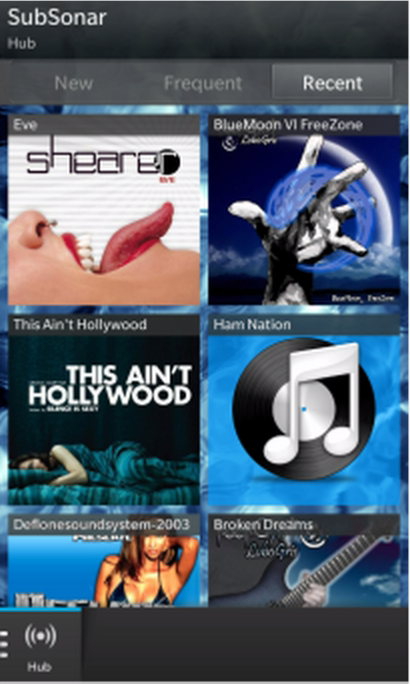 Jamstash is an HTML5 player for Subsonic that is available as a Chrome app and an HTML5 app. Jamstash is developed by tsquillario and is available free of charge. SubFire is an HTML5 app that can be played on the web, as a Chrome app, and as an Android app for Amazon's Fire Phone, Kindle Fire tablets, Fire TV and Fire Stick. Perisonic is a simple Chrome app for playing random music from Subsonic. 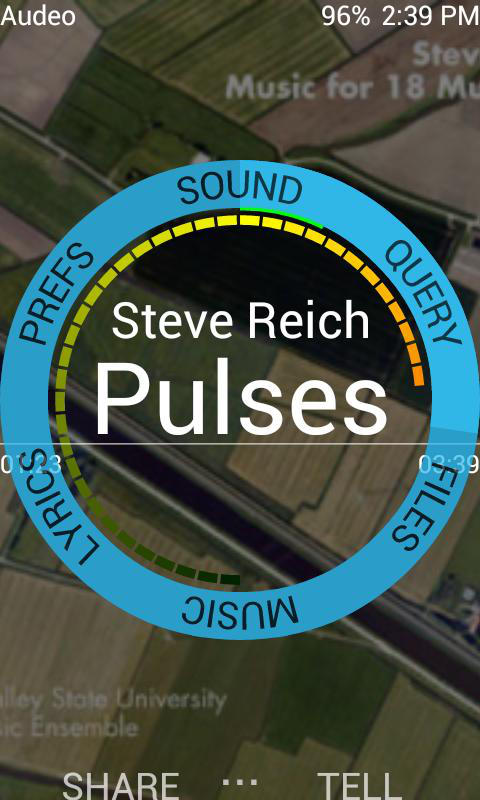 Perisonic is developed by Robin Bakker and is available free of charge. Polysonic is a Chrome app made using Polymer paper elements. 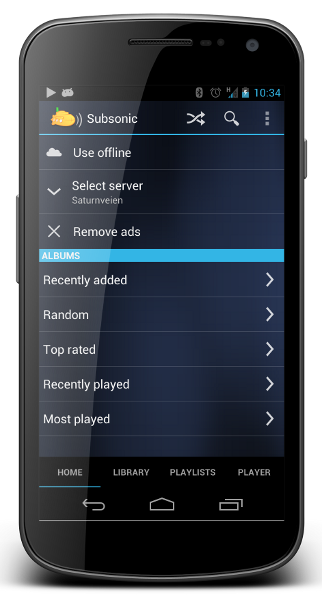 The app keeps album metadata in local storage to speed up content loading and reduce number of network requests. Perisonic is developed by dough10 and is available free of charge. Requires Subsonic version 5.1 or higher.